Si compras tu boleto, significa que aceptas los términos y condiciones que se enumeran en esta página. Join Quilleranadiense, Magali, at Connection Camp from June 14-17th. In consideration of the acceptance of my registration for Connection Camp, to be held at Camp Louemma from June 14th through June 17th, 2018, I hereby waive, release, and discharge Connection Camp, The Connection Movement and Camp Louemma from any and all claims for liability and damages for personal injury, property damages or death which may hereafter occur to me as a result of participation in Connection Camp. This release is intended to discharge in advance Connection Camp, The Connection Movement, Camp Louemma, and the aforementioned entities’ officials, officers, employees, volunteers and agents from liability, even though that liability may arise out of perceived negligence on the part of persons mentioned above. It is understood that some recreational activities, including those taking place at Connection Camp, may involve known or unknown risk or danger of accidents, and acknowledging these risks, I hereby assume those risks. It is further understood and agreed that this waiver, release, and assumption of risk is to be binding on my heirs, successors, next of kin, and assignees. I hereby give my consent to treatment by emergency medical personnel, including but not limited to, physicians, nurses, nurse practitioners, or surgeons, in case of sudden illness or injury while participating in Connection Camp. It is understood that Connection Camp, The Connection Movement, and Camp Louemma will provide no medical insurance or payment for such treatment, and that the cost thereof will be at my expense. I agree to accept full financial responsibility for the costs related to this emergency treatment. In consideration for my participation in Connection Camp, I hereby grant permission to Connection Camp, The Connection Movement, and each of its affiliated or subsidiary companies, their successors, and agents, to utilize my name, voice, image and likeness (including, but not limited to, photographs and any video/audio recording of my appearance at Connection Camp) in any and all manner and media, now known or hereafter developed, in perpetuity without limitation and without additional compensation or consideration, notification, or permission, unless prohibited by applicable law. I hereby waive any right moral rights that I may have and the right that I may have to inspect or approve any finished product (including, but not limited to, any blog, brochures, videos, slide shows, web sites, and/or other materials) or any advertising copy that may be used in connection therewith or the use to which it is applied. I understand and agree that any photographs and/or video/audio recordings I record or make while at Connection Camp shall be used solely for my own personal, non-commercial use, and that absolutely no sale, transmission, distribution, or commercial use of any such photographs and/or video/audio recordings or descriptions are permitted. Nothing herein shall grant me any rights or license or permission to the trademarks, trade names, logos or copyrights owned by Connection Camp, The Connection Movement and Pocono Springs Camp. I have read and understood the foregoing registration liability release, consent for treatment, and name and likeness release, and by submitting my registration to participate in Connection Camp, agree to all of its terms and conditions upon submission of my registration. If any provision of the above releases or consent statement is held to be invalid or unenforceable by a court, the remaining provisions will remain in effect. Submission of your registration and payment for Connection Camp indicates that you have read and agree to comply with Connection Camp’s Registration Terms below. These terms are subject to change; all registered campers will be notified of any changes to the terms. Should you be unable to attend camp once you have registered, you may transfer your registration to another individual. Registration transfer requests must be made in writing to amy@theconnectionmovement.com. Transfers must be approved and coordinated by the Connection Camp Directors and will be subject to a $40 processing fee to cover our bank fees and time. All Connection Camp registrations, bus passes, merchandise purchases, and linen rentals are non-refundable. Please note that under no circumstance will Connection Camp be able to refund registrants’ flight, ground transportation, hotel, or other purchases made in relation to their participation in Connection Camp. 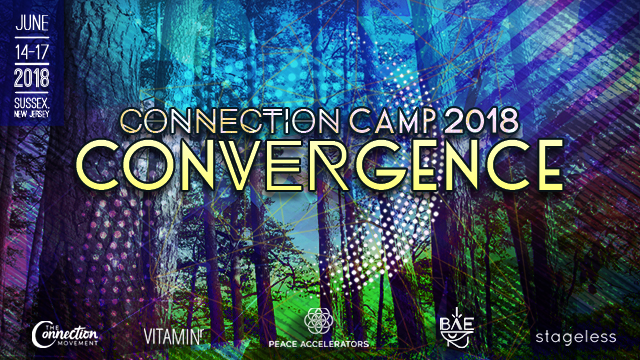 Please note that Connection Camp’s location and dates are confirmed; however, camp’s program offerings, teachers, and the schedule are subject to change without notice. No refunds will be issued due to programming or schedule changes. In the unlikely event that an act of God, or other local or national emergency, should prevent Connection Camp from taking place, registration refunds will not be issued. In the unlikely event that a non-act-of-God emergency requires the Connection Camp organizers to cancel the event, registration refunds will be issued to registered campers. In the unlikely event that Connection Camp must be rescheduled, registrations will be honored for the rescheduled event dates and will not be refunded.